We promote a simple faith based outlook on faith & fitness. We love to help people improve the most important areas of their lives. That is done through education, workshops and especially our unique 40 day challenge. We live in an instant gratification world. Some call it microwave mentality, we want it & want it now! Excelling in a sport or business takes months & even years of hard work. It’s easy to pursue life & success from the wrong perspective. We teach you what to prioritize in your life. Once that is right, you can move on to accomplish anything! God has given me the passion & curiosity to pursue human performance. That experience ranges from the business world to athletics & much more. He has allowed me to fail repeatedly, sometimes learning from those mistakes, sometimes not. He has put on my heart why he created us, what he wants for us as people & most importantly, how to begin pursuit of it. 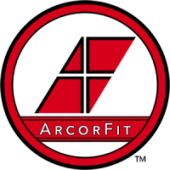 It starts with what I call, becoming ArcorFit.